Isn't it adorable? 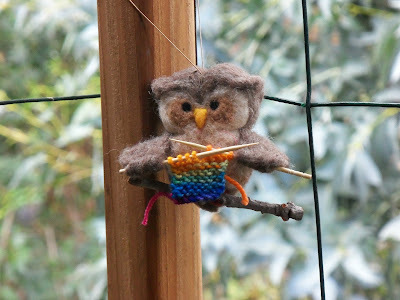 This needle felted owl was a Chanukah gift from my sister. I love it! Check out ScratchCrafts's etsy store for more cuteness. 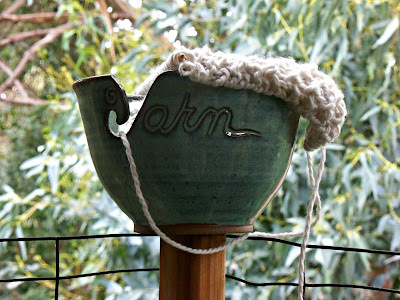 She gave me this yarn bowl too, which I also love. It's nice and big, perfect for my semi-chunky cotton projects. PS. 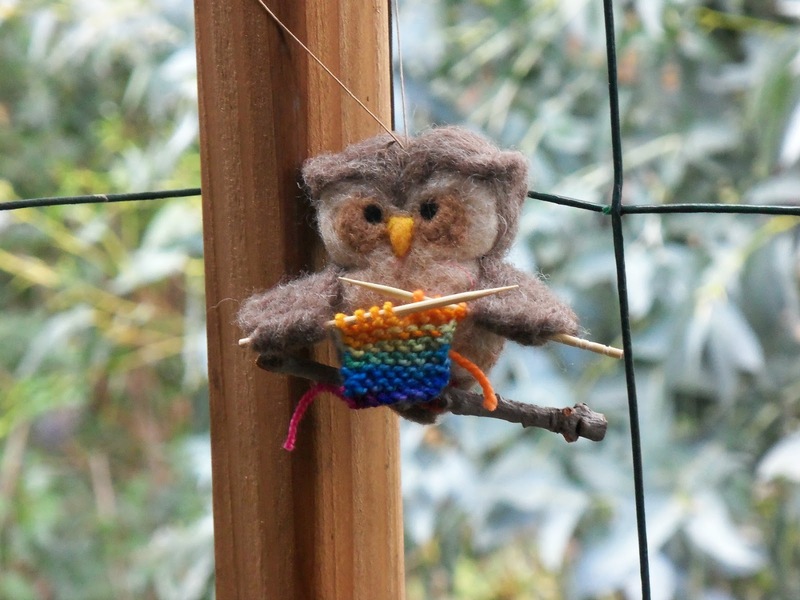 Wouldn't "The Knitting Owl" be a great name for a yarn shop? Those are both such great gifts, what an awesome sister. CUTE! I don't knit but I love him. What an adorable owl, you have a very thoughtful sister. And is it really bad that I am coveting your yarn bowl? It's so pretty! He is too, too cute! and a perfect gift for you! Oh yes ma'am, you open that shop and name it that! Great idea! Have a blessed week, HUGS! Why did my comment in ref to justjenn disappear? It wasn't rude or offensive. Just a thought about her comment. I was a bit uncomfortable with your comment so I removed it. No offensive was meant toward you. Wishing you a happy holiday and wonderful New Year filled with blessings. What beautiful gifts -- they're both perfect for your knitting self! I hope you had a wonderful holiday!